German+ has words or phrases that you can play when you are abroad in Germany. You see various phrases that you might need to use to get by and learn the best way to communicate as best as you can. This app uses the two tap system where you can get to the phrase you need in just two taps or less. You can ask people to two write their information in your phone so you don’t forget it. You can also use the note system to store all your travel notes like names of people, places, WiFi passwords and more. There are 300 phrases in 8 different categories (general, flying, driving, walking, shopping, living, eating, and health). 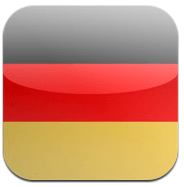 You can create clear audio recordings, visual and audio output, and it will work offline in any country of the world. 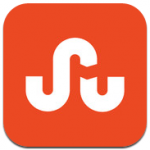 StumbleUpon! finds random sites to what interests you. In order to use this app, you must have an account with StumbleUpon, and you can discover photos, videos, web pages and more that are recommended by people sharing your interests. You never know where the app will take you. All you need to do is type a word or phrase in the explore box or pick from 500+ interests, and the app will recommend page after page of amazing stuff you’d never expect to see. You can share interesting finds with anyone via email, StumbleUpon, Facebook, Twitter and more. Since your mobile account is automatically synced with your web account you can browse your likes anytime you wish. 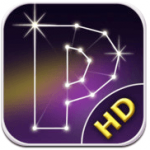 Pictorial HD is a game that all you have to do is rotate the stars to turn them into a picture. This game gives you a brief tutorial as you play on how to rotate the stars, and after that you have to figure out how the picture will turn out. The biggest clue is to see when the lines will show up between each star. You get six different storylines which are Night City, Arctic, Treasure Island, Fairy Forest, Halloween and Sea World, and it is optimized with all iPads. It plays very well on any other non-iPad device. This will help develop the Spatial Reasoning skill which is a common part of intelligence tests, pre-employment tests and admission tests to certain educations. It also is generally regarded as one of the most basic reasoning abilities together with verbal reasoning, logical reasoning, numerical reasoning and abstract reasoning.